Nuevo rango medio. Sony está renovando su línea de productos para teléfonos inteligentes, comenzando con el teléfono inteligente de gama media Xperia XA2 de 5.2 pulgadas, que tiene como objetivo cualidades tales como tener el rápido Qualcomm Snapdragon 630 SoC, un Pantalla Full HD y una cámara de 23 MP. Nuestra prueba muestra si el teléfono Android de Sony tiene éxito. Como ya hemos dicho varias veces a lo largo de esta review con opinión del Sony Xperia XA2, compite contra enemigos temibles. Entre los 200 y los 300 euros los usuarios lo quieren todo y a poder ser a un precio barato: pantalla Full HD, carga rápida, WiFi AC, NFC y más. Este smartphone es un modelo completo que no desentona en casi nada, pero que no es un “top”, por lo que su posición en la gama media tiene todos el sentido del mundo. Con opciones interesantes como el uso de USB tipo C y el salto a los procesadores de Qualcomm, la verdad es que es una opción consistente. Su agarre nos ha parecido mejor de lo esperado, por cierto. Los Xperia son teléfonos que merecen la pena. El problema viene en su estrategia comercial, y en sus precios de venta. A Sony le queda camino por andar, pero no vamos a negar que este XA2, sin ser perfecto ni mucho menos, es la demostración de que Sony quiere pisar el acelerador. Y gracias a este Xperia, ahora sinceramente quiero que sea así. As a summary, the Xperia XA2 runs quite well on the internal hardware, and it should last you all day on the battery. It doesn’t have the best camera at night but it does pretty well during the day, and offers pretty decent 4K video. I also quite like the design, the rear mounted fingerprint sensor is fast and works well, and it’s USB-C which is good to see in the mid-range. The XA2 almost feels like what you’d expect from a phone from three or four years ago. It might feel a little dated in spots but if your mobile needs haven’t really changed during that time, it’s well-enough equipped to do the job. Overall, I quite like the Sony Xperia XZ2. Sony has never tried too hard to be like other manufacturers, and here it’s mostly stuck to its no-frills design language. The bulkier design is welcoming to hold. The battery life got me through a solid day and a half and charged up even faster. The processing and audio quality are top notch. The phone also has a few minor pitfalls like button placement and some major slipperiness. Still, for me personally, the Xperia XA2 is an excellent smartphone and it's seriously made me consider Sony when my contract expires in four months' time. Well done, Sony. It’s not the most dynamic phone in its class but a solid option for those who like Sony’s style. Low-light photography issues aside, though, the Xperia XA2 is a seriously impressive smartphone, made even better by its highly reasonable asking price. Its display is fantastic, battery life is good and the handset itself looks like something you've paid twice as much for. Probably the best mid-ranger Sony has made in a while, the XA2 might not mix up the traditional Xperia look but it has hardware that ticks almost all the boxes. As much as I loved the Xperia XA1, the XA2 is a big upgrade in so many areas. The design has been reworked for a more premium finish, while the impressive battery life and gorgeous display also boost this phone over most other mid-rangers. For just £300 here in the UK, you won’t find many other mobiles that offer the same fantastic all-round experience. Our only issue was with the selfie downgrade - the 8MP wide-angle camera has lost the autofocus and the brighter aperture compared to the XA1. And we would have appreciated at least some splash protection, as most of the competition is already going for a tight IP68 ingress protection. 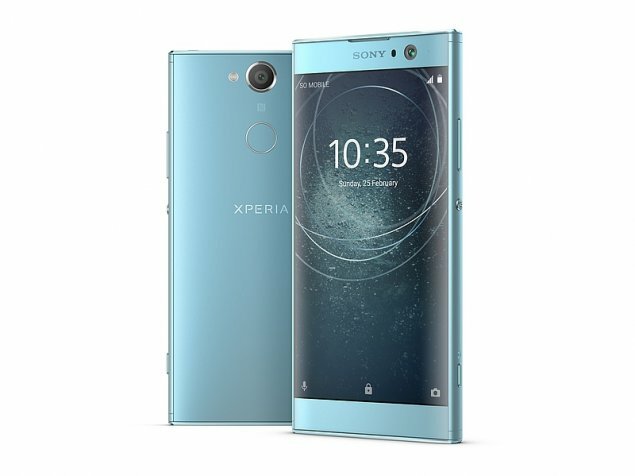 The Xperia XA2 is another fairly unremarkable phone from Sony, but it's affordable despite being a fair bit more expensive than the previous model. And with it brings various upgrades including a much better screen, fingerprint scanner and bigger battery. This could be a solid mid-range device. The XA2 is a nice spec-bump over the XA1 and there are a few welcome additions in the form of a higher-res screen and Snapdragon CPU. But Sony’s design is still behind the pack and with lots of budget options moving to a slicker build, the XA2 could feel old very quickly. The XA2 has a much more capable processor, higher resolution screen, and what looks to be a fantastic set of cameras too. If Sony gets the price right, it could be a very tempting phone for anyone on a budget. Recenzja Sony Xperia XA2. Czy Japończycy wrócili do gry? Обзор смартфона Sony Xperia XA2: камерная "классика"
Cảm nhận Sony Xperia XA2 giá 6tr590: lâu rồi Sony mới khiến chúng ta thoả mãn như vậy! 0.171 kg: Este peso es típico de smartphones. 77.64%: Esta evaluación no es convincente. Debe ser considerado que difícilmente existen portátiles que reciben una evaluación abajo de 60%. Esta portátil es evaluada abajo del promedio, esta realmente no es una recomendación para la compra.